Volkswagen AG will unveil a one-seat experimental car with an electric powertrain next month as the carmaker works to cut emissions and develop future driving concepts. The concept vehicle will be designed for limited journeys, VW spokeswoman Ruth Holling said today, confirming remarks by VW research chief Juergen Leohold to the Financial Times. The model will be presented Sept. 8 in Berlin. VW is aiming for battery-powered vehicles to account for 3 percent of sales by 2018, the year it's aiming to sell more than 10 million cars, sport-utility vehicles and vans, CEO Martin Winterkorn has said. Seven-month sales rose 14 percent to 4.75 million units, the company said Aug. 19. 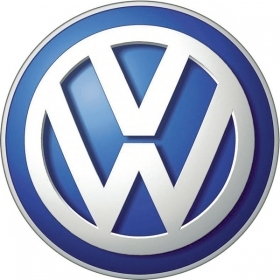 VW plans to bring electric versions of its Golf hatchback and the new Up city car to market by 2013.